Two King Suites on main floor!! 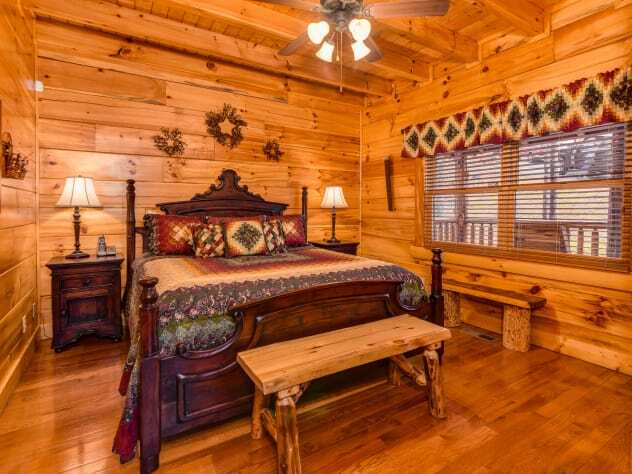 Close to Pigeon Forge only 2.6 miles...Book now! Welcome to “Straight from the Heart.” Make you way cross the walkway to your dream of all dreams. 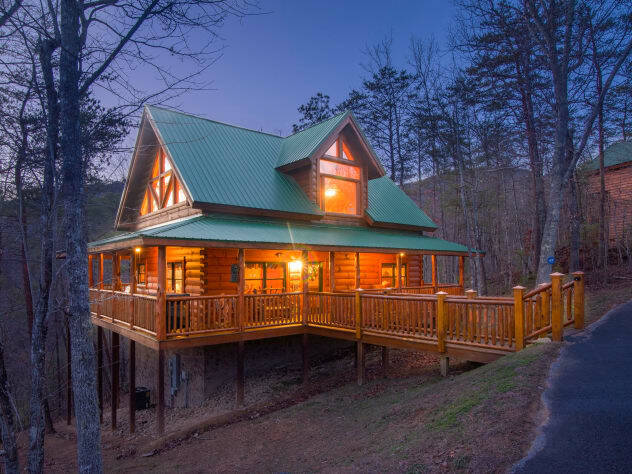 This cabin will be your favorite getaway for years to come. 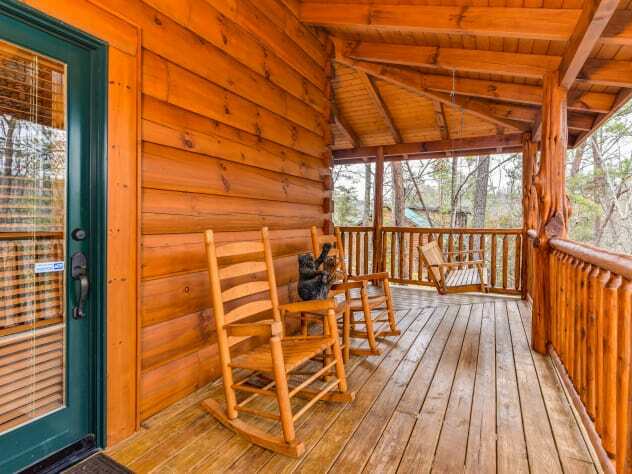 The cabin sits among a huge mass of Red Maples with a wooded view all to yourself. 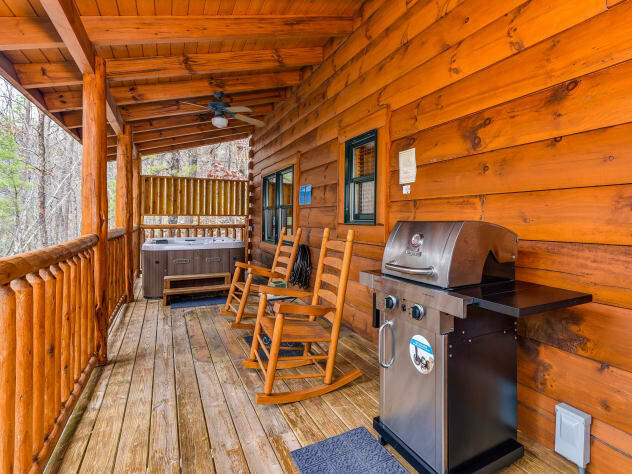 Located in the great Smoky Cove Resort the cabin is a 2 bedroom 2 bath cabin with a huge game room with everything you will need for a fabulous vacation or a weekend getaway. 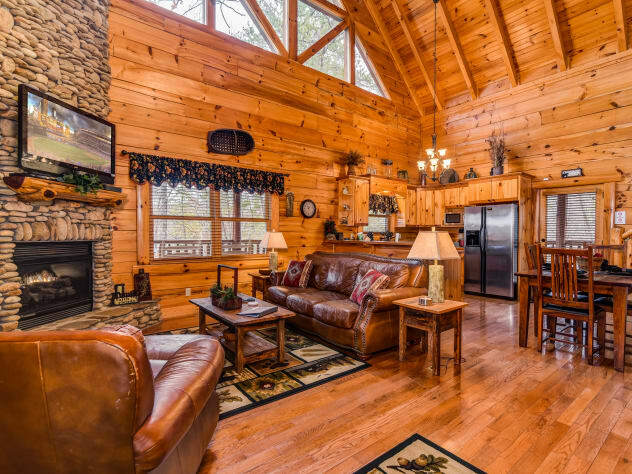 The Great Room and a beautiful floor to ceiling river rock fireplace will take your breath away once you enter the cabin. 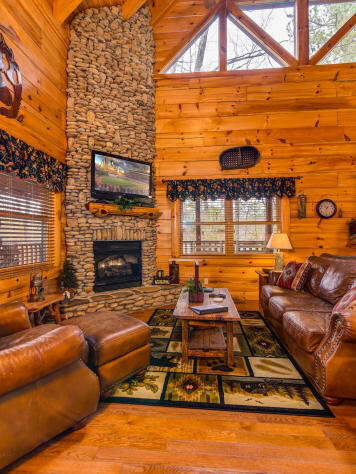 Luxury Leather furniture awaits you to rest or just watch your favorite program on the large 42” Flat Screen TV. 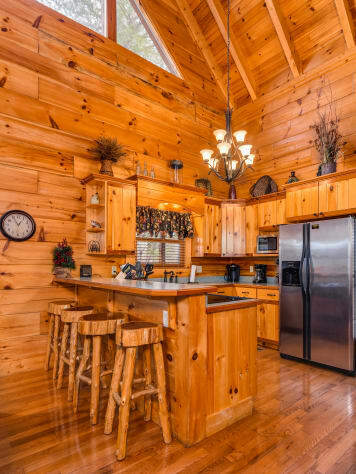 The great room is adjacent to the fully stocked kitchen to cook your favorite meal or make you perfect cup of coffee on the Keurig Coffee maker. 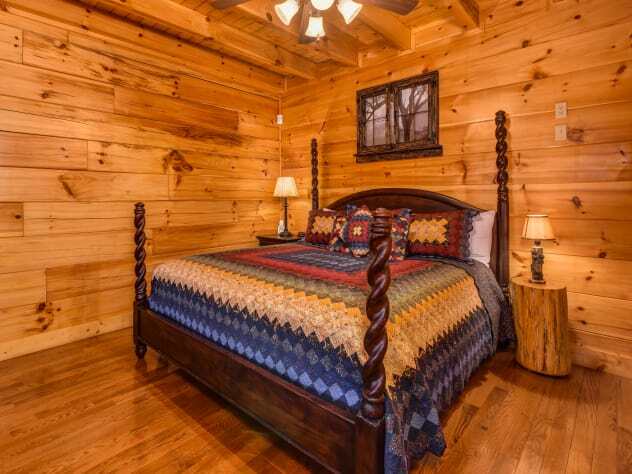 The cabin offers 2 King Size Bedroom on the main floor each with its own bath. 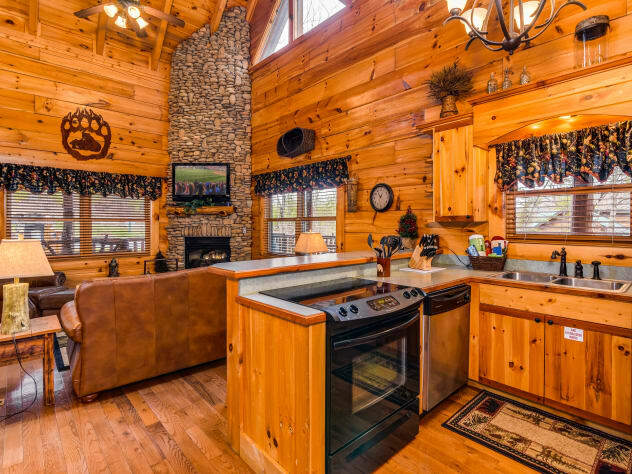 A washer/dryer is also on the main floor for your convenience. Next find your way to the second floor loft which features 2 Queen Size futons to relax or watch the game from the 42” Flat Screen. For those of you who love entertainment you have hit the jackpot. 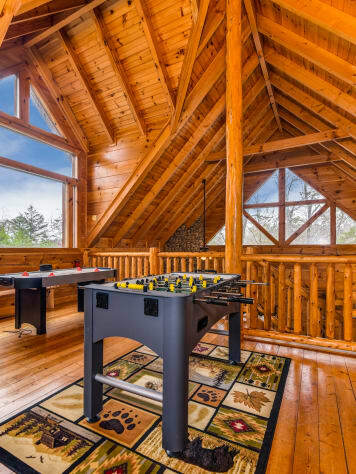 The loft has a Pool Table, Foosball, Air Hockey as well as a game table and a chest of board games! 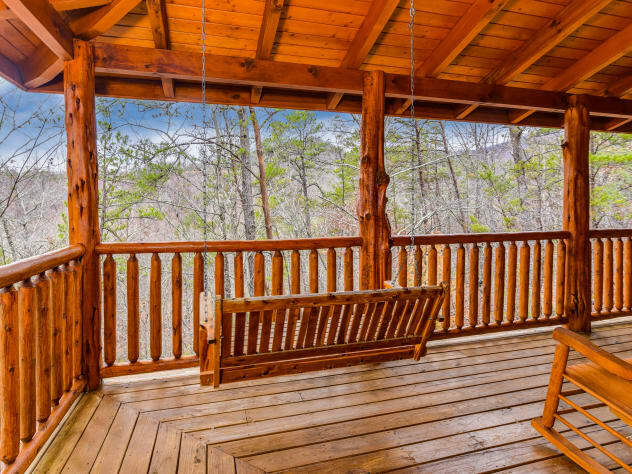 As you walk to one of the 3 wrap around porches you will want to unwind in one of the many rockers or your favorite Porch Swing. 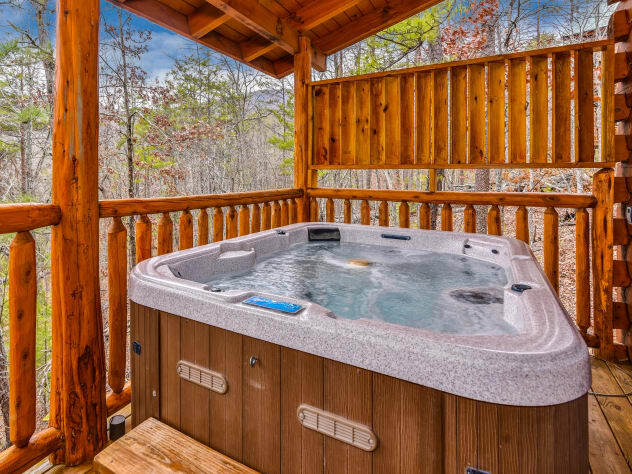 And if you really need to relax you can soak in the 6-person hot Tub. The atmosphere is quiet and peaceful. Time to book now so you can start to enjoy your stay. 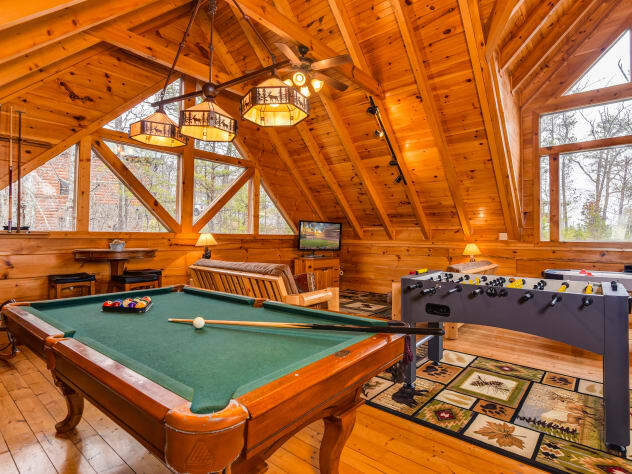 The cabin is a great location. 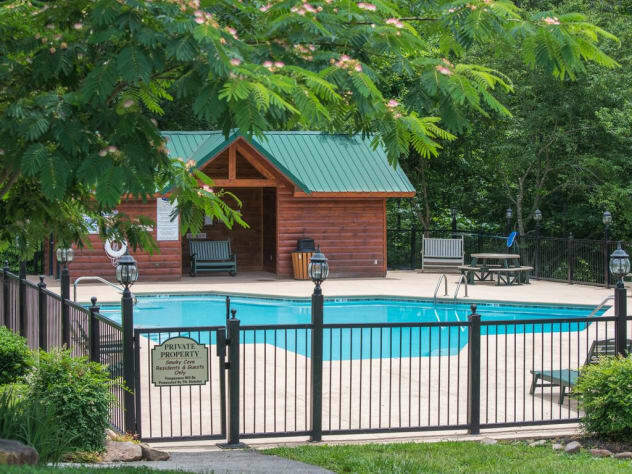 You are only 3 miles from the main Parkway which is great if you need to be close to all the attractions as well as shopping and your favorite grocery store. Please don’t hesitate to call me directly at 828-400-6755 if you need any help at all. 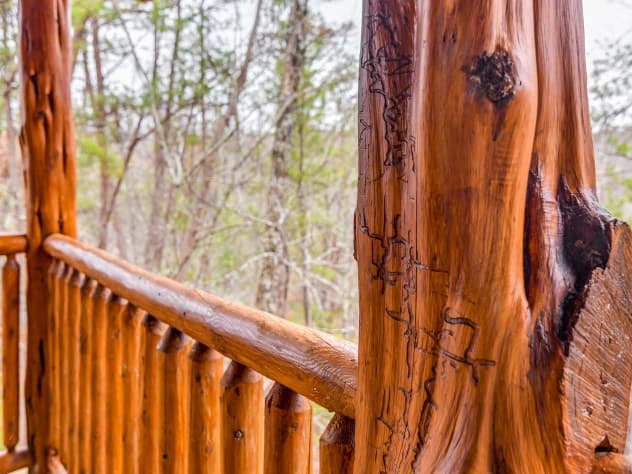 The Property is Privately Owned and is not managed by a Rental Company. 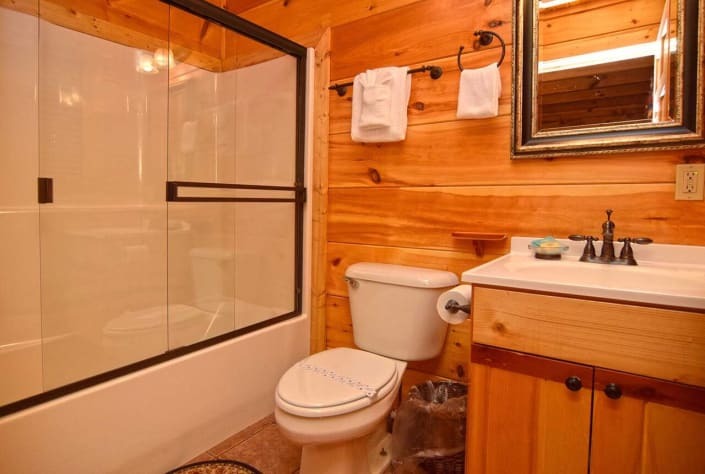 I offer personal service since I own and maintain these cabin. Rest assured you will not be disappointed! 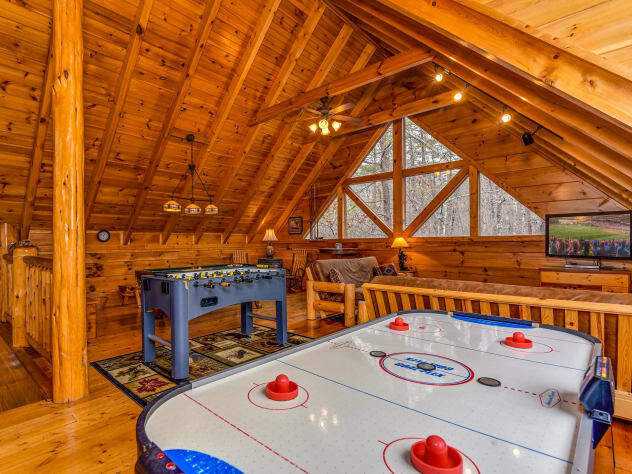 Must be 25 years of age to rent this cabin! Cancellation Policy: A 60 days notice is required to receive a full refund. Cancellations made within 30 days of arrival there will be no refund. We suggest you purchase Travel Insurance if there is a possibility of cancellation. To secure your reservation there is a ** 50% DEPOSIT**. Reservation Deposit by credit card at the time of renting. Your remaining balance will be due 30 days prior to arrival by PERSONAL CHECK. If you rent within 30 days of your stay, the total amount will be charged to your credit card at the time of renting. A 50% Deposit is required to book this property. Balance due by personal check 30 days before arrival. You must be 25 years old to rent this property. We had a great time. 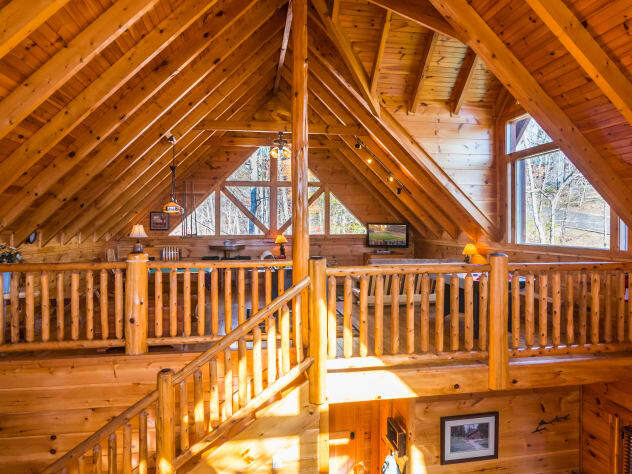 Cabin was clean, great location. Very clean! 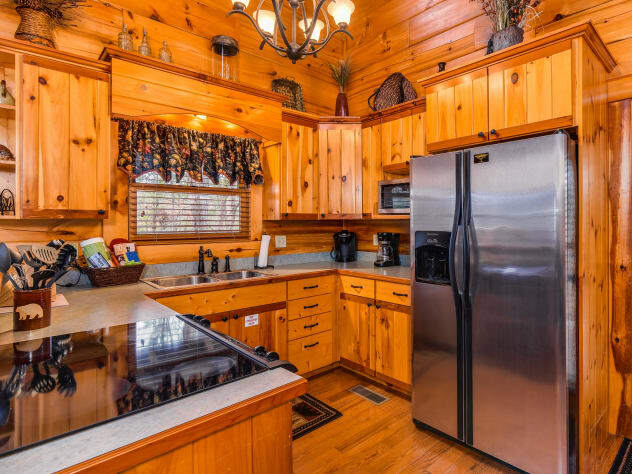 Well stocked kitchen and it’s simply a beautiful cabin in the woods. 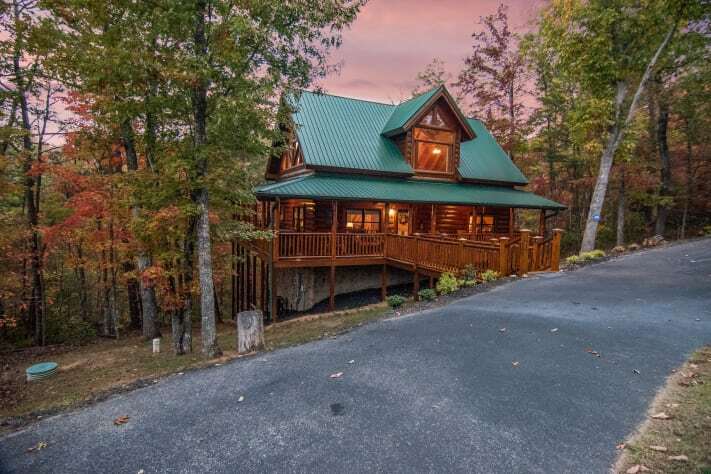 A gem in the woods that has it all. 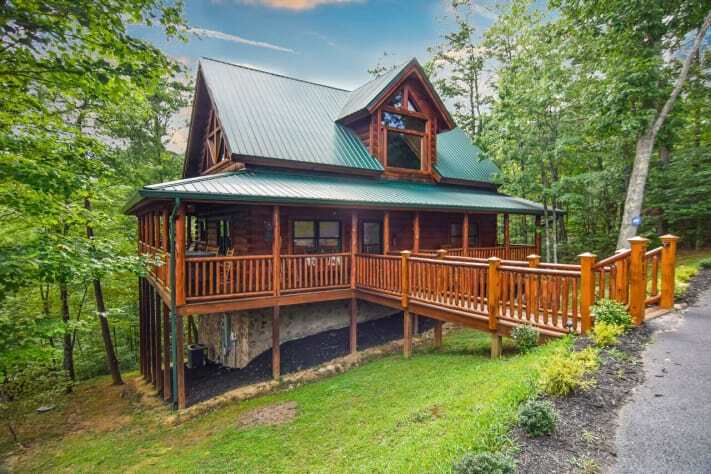 Close proximity to everything but most importantly the "Smokies." The attention to detail and cleanliness was suburb. Camelle is an extremely caring owner that goes above to make your stay wonderful! Thanks for the memories! 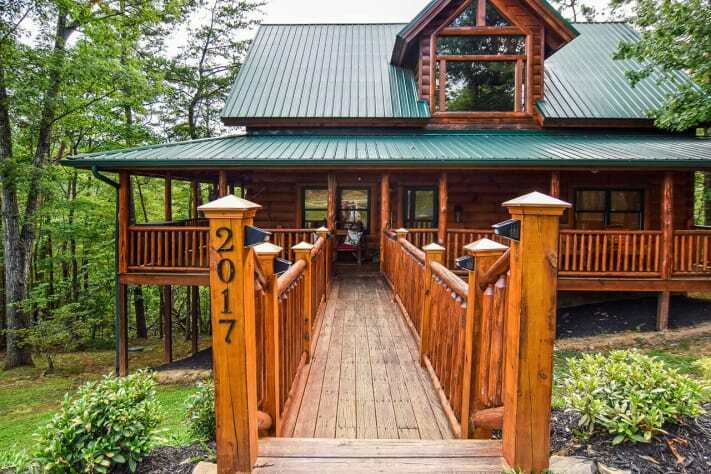 Great cabin with all we needed for a great girls trip. 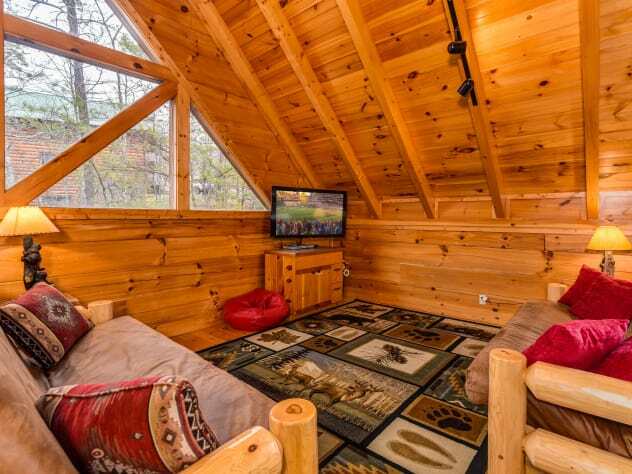 Cabin was clean and far enough from the action to feel peaceful yet close enough to be able to get places quickly. We definitely want to come back! From the moment you pull up to Straight from the Heart, you will just know you chose the right place! 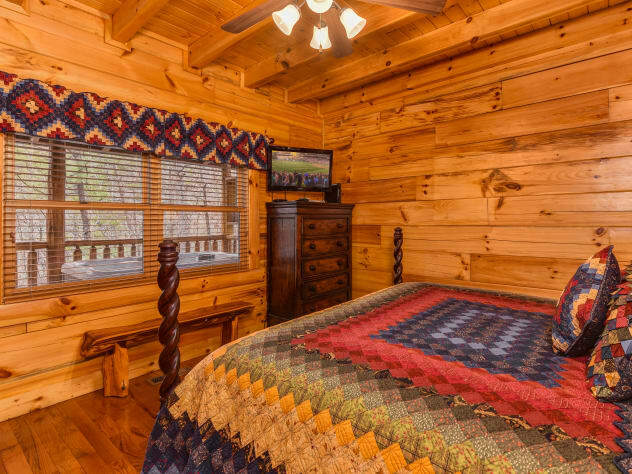 Camelle is a pleasure to work with, the cabin is immaculate and well-stocked, and the whole family will never be bored. So much to do in the area, and the location is central to everything. We loved it so much, we decided to stay one more night! Can't wait to return. Thanks again!